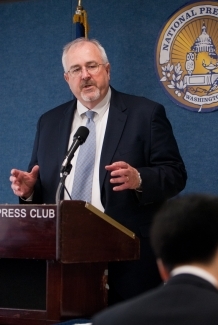 FEMA Director Craig Fugate speaks at a May 5, 2011 National Press Club Newsmaker event. 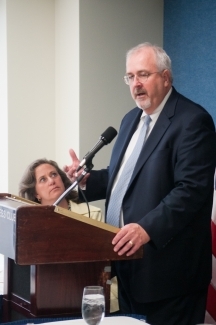 Also pictured: NPC member Patti Giglio, seated. 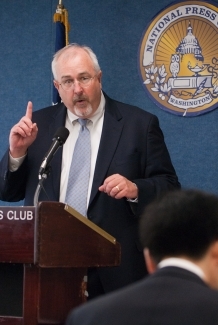 FEMA Director Craig Fugate speaks at a May 5, 2011 National Press Club Newsmaker event.